I am a software engineer who works on Salesforce.com centric projects. I hope to become a master tinkerer by the time I'm 490! 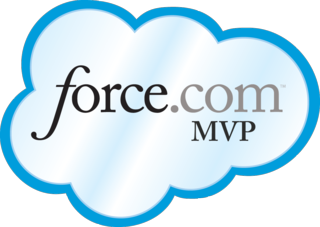 Force.com MVP and a co-organizer or the Lehigh Valley Salesforce Developer User Group. Salesforce.com is constantly improving their products and setting the bar for what's the state of the art in CRM (and technology in general) and it can be challenging to keep up. No matter what your background (admin, dev, user, just curious) do not hesitate to ask for help. You can learn more about how to participate in the Salesforce Stack Exchange by reading the about page and the faq. Join the Community. Participate. Have fun! Disclaimer: Anything I post on here is my own and has nothing to do with my employer.